… It’s all very well talking about character WOUNDS and FLAWS and HUBRIS and all that advanced characterisation malarkey. I’m not saying it’s bad, but we are jumping ahead of ourselves here. in the story, at base level. The protagonist (aka ‘goodie’) usually wants or needs something, so has some kind of goal. The antagonist (aka ‘baddie’) usually wants or needs to STOP the protagonist from getting that goal. 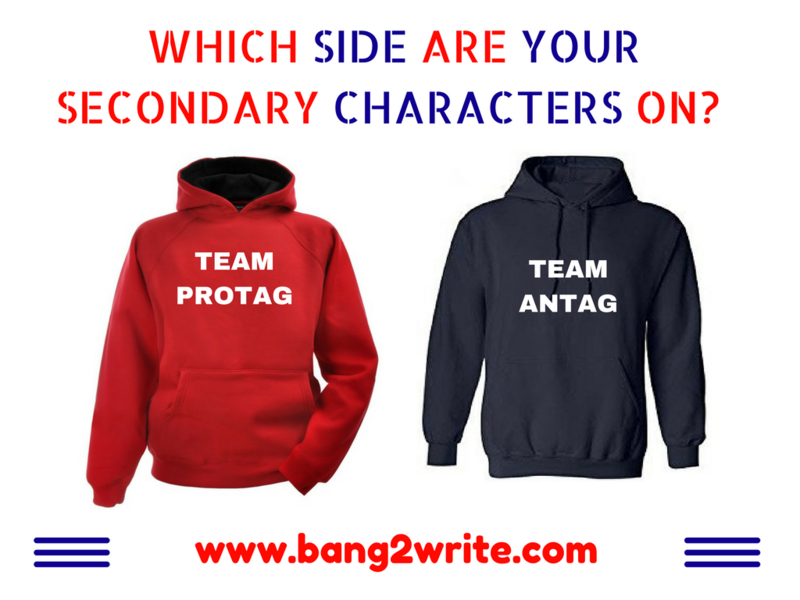 In other words, these important secondaries are either TEAM PROTAG or TEAM ANTAG at base level. TOP TIP: If you know WHO your two main roles are, WHAT they want and WHY, then you can start adding characters on their respective ‘teams’. Role functions should not be confused with archetypes at this stage. It’s much simpler: every character has to have a REASON to *be* in the story – this is what script editors like B2W mean when they say ‘the character has to pull its weight’. Usually, a protagonist’s need/want/goal and subsequent decisions will act as the catalyst for kicking the story off. The antagonist will be reactionary to that. (Sometimes, it will be the other way around, especially in the Thriller genre, but also in cases of a passive protagonist). Perhaps it’s now more obvious how these types of role HELP or HINDER the protagonist in his/her goal? From this base level, a writer can combine/merge or create new role functions to this, taking in more advanced characterisation techniques. TOP TIP: Ensuring each character has a specific objective (aka action, purpose, behaviour, FUNCTION!) 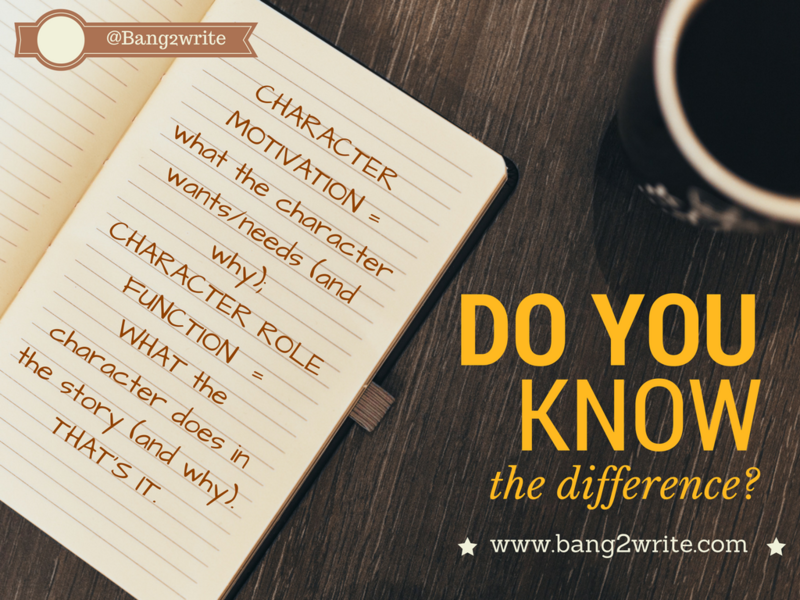 in there narrative means again, you’re more likely to stay on target in knowing WHO your characters are, WHAT they’re doing in the story and WHY. I see so many scripts nowadays that are perfectly well constructed and written and yet I simply don’t care. “Why should I care?” is – I’m sorry to say – one of the most frequent notes I find myself scrawling in the margins. You can have the most brilliant writing in the world but if the reader simply doesn’t care, we haven’t yet even got to first base. Wait, so, you’re saying… “because I think he’s cool” is NOT a character function? ?